Did you read a bedtime story to your child last night? Then you know how enjoyable reading with little children can be. Time spent with books helps children from infancy on to learn about their world and prepare to become readers themselves. In fact, early literacy research shows that it takes about 1000 books to build the vocabulary and pre-literacy skills necessary for a child to be ready to learn to read. That may sound like a lot of books, but it really isn't. Just a book a day for three years or three stories a day for a year is more than 1000 books. To help the littlest learners in our community, Belleville Public Library is launching a new "1000 Books Before Kindergarten" program. Stop by the library to register and get started. Any book read to your child by yourself, other family members, or caregivers counts. When you compete each 100, bring your child and reading log to the library to get a new log and mark your progress on the big reading chart. Celebrate milestones along the way. Your child will receive a book to add to your home library at the 200, 500, and 800 levels. 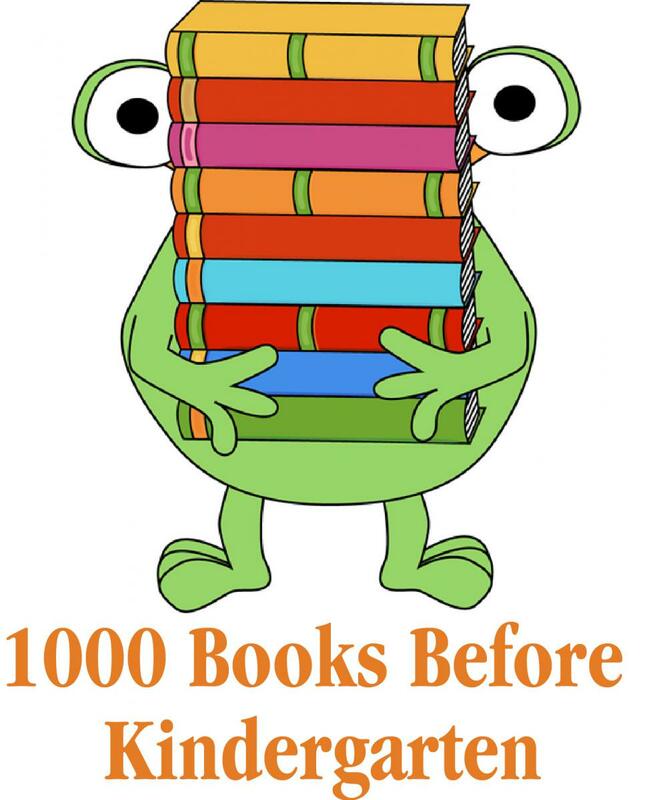 Children who reach 1,000 will receive a t-shirt proclaiming that "I've Read a 1000 Books Before Kindergarten." Wouldn't it be cool to have an entire Kindergarten class show up for their first day of school in these t-shirts? Participation in "1000 Books Before Kindergarten" is open to children from birth to age five who have not yet started five-year-old kindergarten. Create some wonderful memories with your child by sharing 1000 books.